Witsie in trials with Kaizer Chiefs. 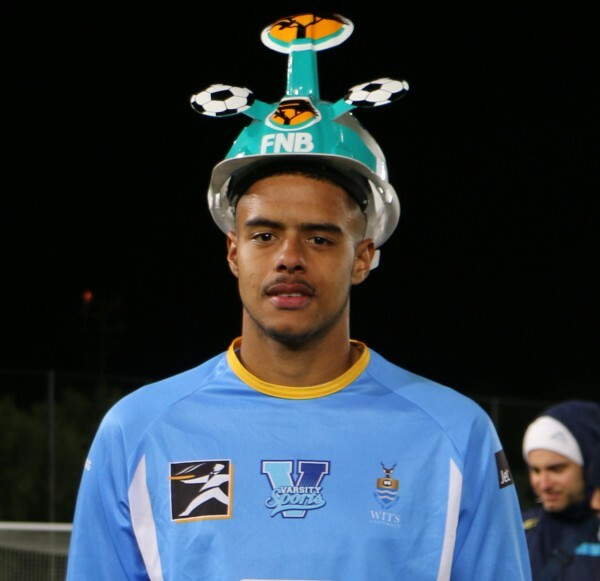 WITS Football Club goal keeper Brylon Lee Petersen, 20, is on trial with Kaizer Chiefs after he was selected from last year’s Varsity Football Tournament. His performance in the tournament paved a way for him to grasp an opportunity to play for the Kaizer Chiefs Development team. Not only was Petersen selected to trial with Kaizer Chiefs, he also trained with the Kaizer Chiefs first team in 2014 and twice this year. Petersen is a third-year BSc student and started playing soccer from an early age where he was inspired by his brother who is a professional soccer player. “Both my parents and brothers are my biggest critics but my main source of motivation,” he said. Petersen said that this is overwhelming and also an opportunity for him to learn from professionals. “Training with Itumeleng Khune under Coach Brian Baloyi is such a great experience and an opportunity to learn and be rectified by them,” he said. Peterson said that one of the challenges he faces in football is usually the ability to keep progressing in terms of fitness and performances. “You have to put in the extra hours in order to succeed and make sacrifices to flourish,” Petersen said. One of his favourite moments in soccer include when he received Man of the Match award while playing against the University of Western Cape in the Varsity Football Tournament. “It was emotional yet it brings so much joy to play when my brothers and parents are present in the field,” he said. Wits FC head coach Karabo Mogudi said that Petersen is a steady player who sometimes exchanges the captaincy arm band with the current captain of the team and has saved the team many times.